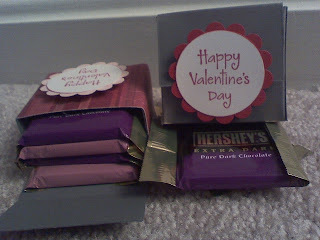 Create Embellish Adore: Boxes of Chocolate!!! 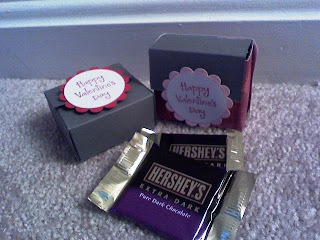 OK, so when I first looked at this tutorial, I was thinking... the boxes were bigger... then I made them and they are too damn cute!!!! Easy peasy!!! 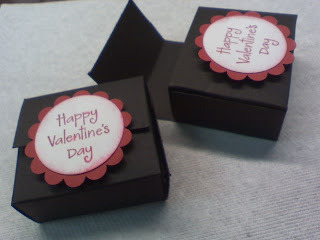 I got the tutorial off the Splitcoaststampers and honestly think this may have been easier than the matchbox candies I recently did. Very nice. Those are my kinds of crafts. FAST! !